Typhoon Haiyan heralded the birth of baby Jay-R. His mother braved the storm of epic proportions, literally crawling through uprooted trees and debris, leaving behind her husband and 3 sons (in Leyte) just so Jay-R could receive medical help. You see, this little one was born with myelomeningocele – a rare and severe form of spina bifida. It is a neural tube defect wherein the bones of the spine do not form completely, causing the spinal cord to stick out of the child’s back. 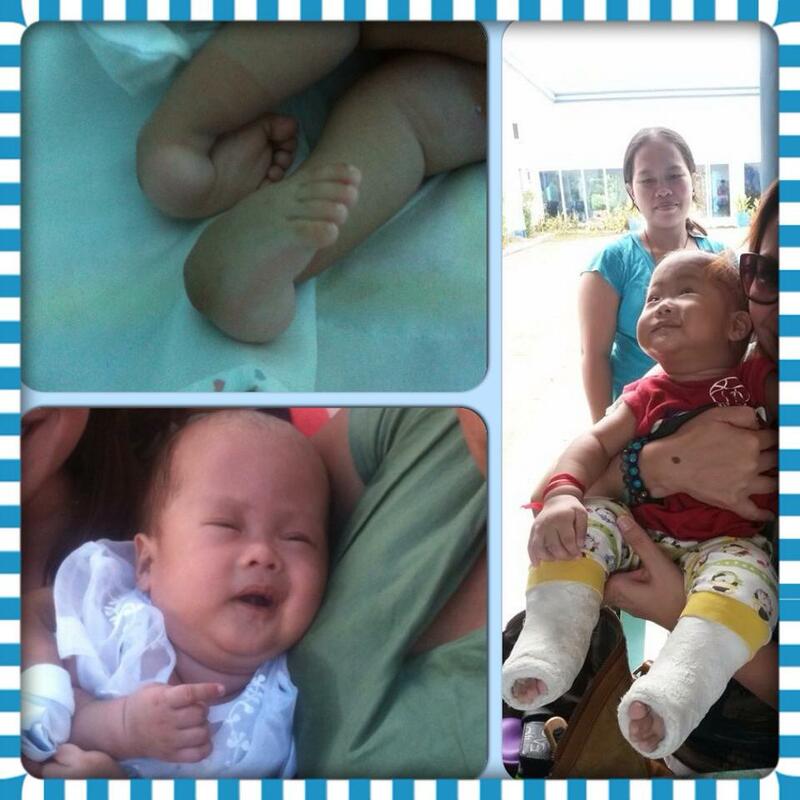 He also has (bilateral) congenital talipes equinovarus, otherwise known as clubfoot. Jay-R and his mother have been here in Cebu ever since with no one else to turn to except for the staff at Mactan Air Base Hospital where Velez PT alumni and student body donated medicines, clothing and food items to other victims of Yolanda. Let’s take a break from all the madness to celebrate this little miracle from Heaven. Photos taken and posted with consent.